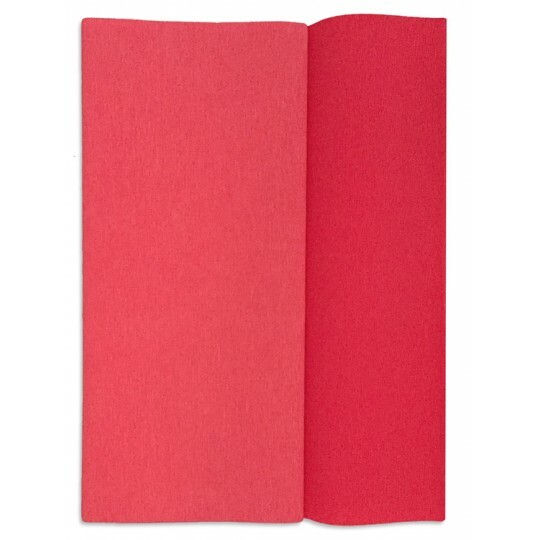 Double-sided Gloria Doublette crepe paper is a beautiful choice for handcrafting beautiful paper flowers and enhancing any craft project that requires a vibrant and sturdy specialty paper. Sheets measures 25 cm x 125 cm (10" by 49") and have a weight of 90 gsm. Gloria Doublette is made in Germany from two sheets of paper that are glued together then "creped" to give stretch and texture -- 135% stretchability means you can create realistic curled and fluted flower petals that easily hold their contours. Please scroll down to view our selection of bright, subtle, and saturated hues. 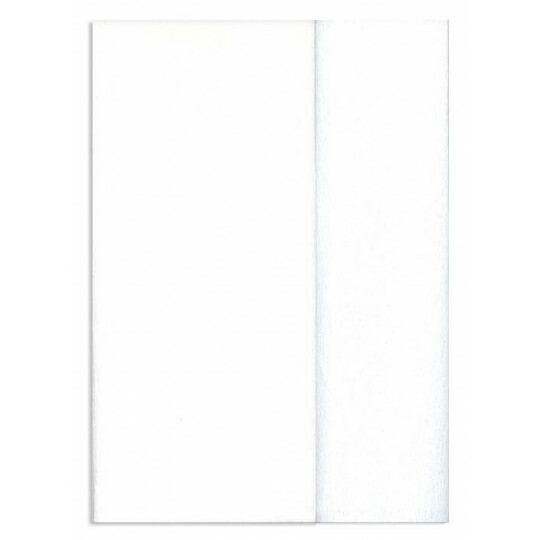 1 folded sheet of double sided Gloria Doublette crepe paper in all white -- both sides are the same shade of white. 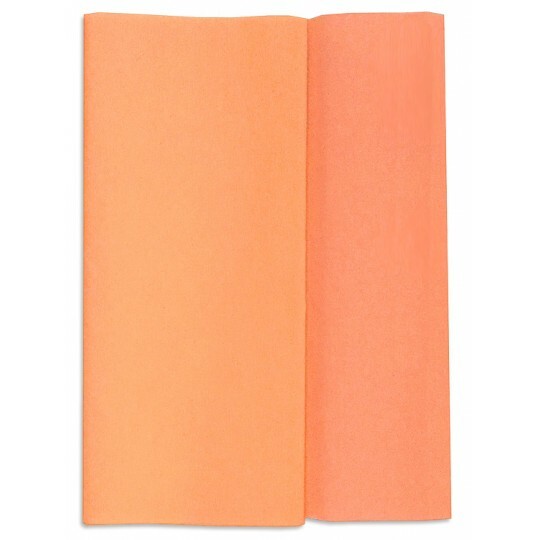 Sheet measures 25 cm x 125 cm (which is 10" by 49") and has 135% stretchability. Made in Germany. 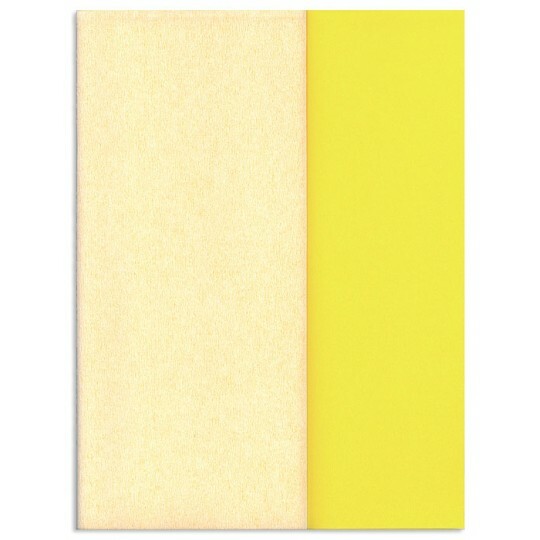 1 folded sheet of double sided Gloria Doublette crepe paper in ivory and off white. 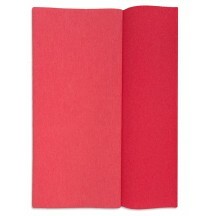 Sheet measures 25 cm x 125 cm (which is 10" by 49") and has 135% stretchability. Made in Germany. 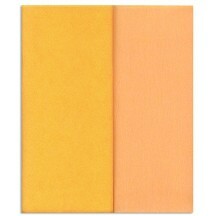 1 folded sheet of two-tone double sided Gloria Doublette crepe paper in apricot and light apricot. Sheet measures 25 cm x 125 cm (which is 10" by 49") and has 135% stretchability. Made in Germany. 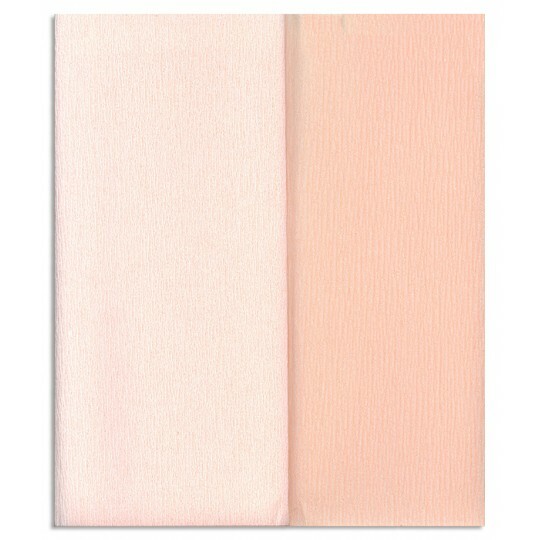 1 folded sheet of two-tone double sided Gloria Doublette crepe paper in blush and shortbread. 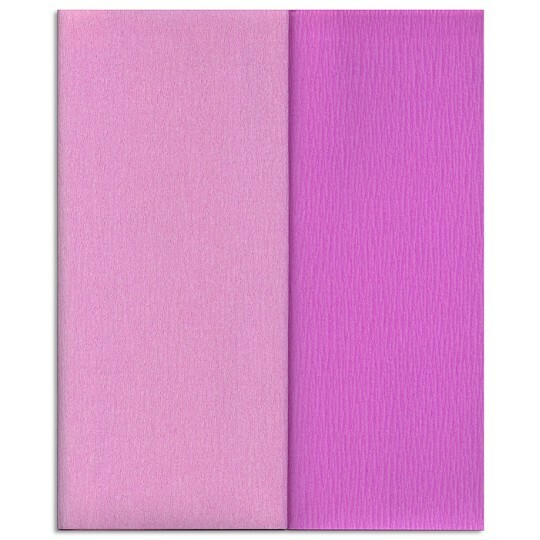 Sheet measures 25 cm x 125 cm (which is 10" by 49") and has 135% stretchability. Made in Germany. 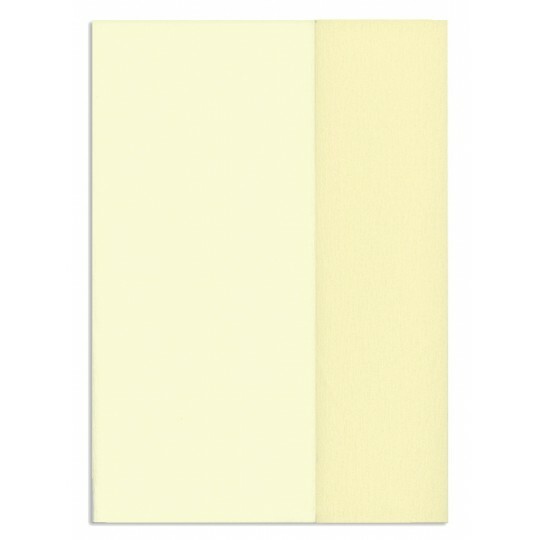 1 folded sheet of two-tone double sided Gloria Doublette crepe paper in vanilla and pale yellow. Sheet measures 25 cm x 125 cm (which is 10" by 49") and has 135% stretchability. Made in Germany. 1 folded sheet of two-tone double sided Gloria Doublette crepe paper in butter and bright yellow. Sheet measures 25 cm x 125 cm (which is 10" by 49") and has 135% stretchability. Made in Germany. 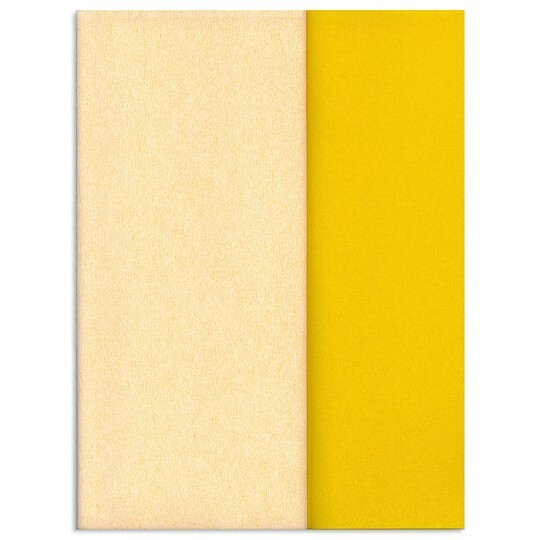 1 folded sheet of two-tone double sided Gloria Doublette crepe paper in parchment and buttermilk. Sheet measures 25 cm x 125 cm (which is 10" by 49") and has 135% stretchability. Made in Germany. 1 folded sheet of two-tone double sided Gloria Doublette crepe paper in light peach and petal. Sheet measures 25 cm x 125 cm (which is 10" by 49") and has 135% stretchability. Made in Germany. 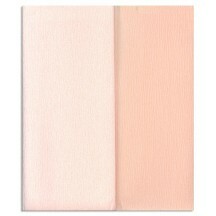 1 folded sheet of two-tone double sided Gloria Doublette crepe paper in peach and light pink. Sheet measures 25 cm x 125 cm (which is 10" by 49") and has 135% stretchability. Made in Germany. 1 folded sheet of two-tone double sided Gloria Doublette crepe paper in light pink and golden peach. Sheet measures 25 cm x 125 cm (which is 10" by 49") and has 135% stretchability. Made in Germany. This colorway is available in limited edition. 1 folded sheet of two-tone double sided Gloria Doublette crepe paper in rose and pink. Sheet measures 25 cm x 125 cm (which is 10" by 49") and has 135% stretchability. Made in Germany. 1 folded sheet of two-tone double sided Gloria Doublette crepe paper in peach and yellow. 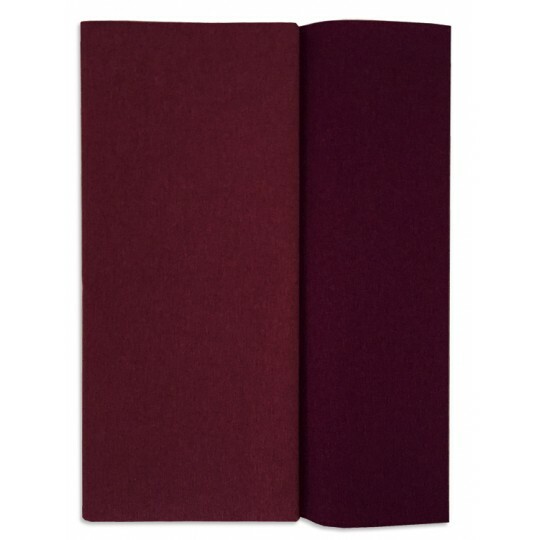 Sheet measures 25 cm x 125 cm (which is 10" by 49") and has 135% stretchability. Made in Germany. 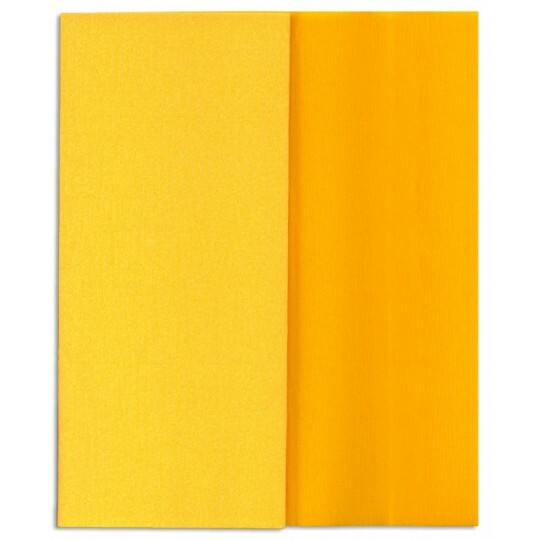 1 folded sheet of two-tone double sided Gloria Doublette crepe paper in yellow and goldenrod yellow. 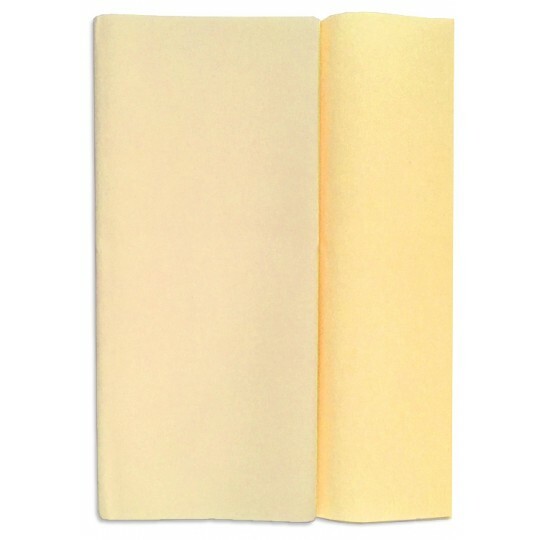 Sheet measures 25 cm x 125 cm (which is 10" by 49") and has 135% stretchability. Made in Germany. 1 folded sheet of two-tone double sided Gloria Doublette crepe paper in orange and goldenrod yellow. Sheet measures 25 cm x 125 cm (which is 10" by 49") and has 135% stretchability. Made in Germany. 1 folded sheet of two-tone double sided Gloria Doublette crepe paper in salmon and light pink. 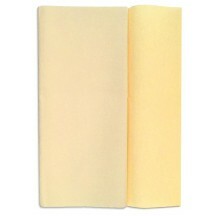 Sheet measures 25 cm x 125 cm (which is 10" by 49") and has 135% stretchability. Made in Germany. 1 folded sheet of two-tone double sided Gloria Doublette crepe paper in bright red and strawberry pink. 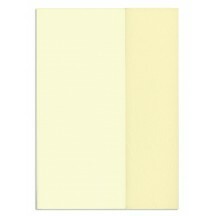 Sheet measures 25 cm x 125 cm (which is 10" by 49") and has 135% stretchability. Made in Germany. 1 folded sheet of two-tone double sided Gloria Doublette crepe paper in watermelon and coral. Sheet measures 25 cm x 125 cm (which is 10" by 49") and has 135% stretchability. Made in Germany. 1 folded sheet of two-tone double sided Gloria Doublette crepe paper in salmon and watermelon. Sheet measures 25 cm x 125 cm (which is 10" by 49") and has 135% stretchability. Made in Germany. 1 folded sheet of two-tone double sided Gloria Doublette crepe paper in cerise and pink. Sheet measures 25 cm x 125 cm (which is 10" by 49") and has 135% stretchability. Made in Germany. 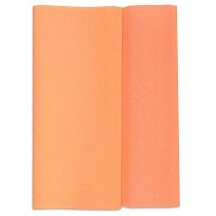 1 folded sheet of two-tone double sided Gloria Doublette crepe paper in orange and tangerine. Sheet measures 25 cm x 125 cm (which is 10" by 49") and has 135% stretchability. Made in Germany. 1 folded sheet of two-tone double sided Gloria Doublette crepe paper in fuchsia and dark red. Sheet measures 25 cm x 125 cm (which is 10" by 49") and has 135% stretchability. Made in Germany. 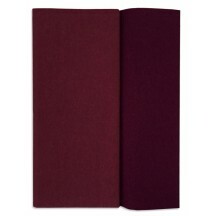 1 folded sheet of two-tone double sided Gloria Doublette crepe paper in plum and aubergine. Sheet measures 25 cm x 125 cm (which is 10" by 49") and has 135% stretchability. Made in Germany. 1 folded sheet of two-tone double sided Gloria Doublette crepe paper in red and wine. Sheet measures 25 cm x 125 cm (which is 10" by 49") and has 135% stretchability. Made in Germany. 1 folded sheet of two-tone double sided Gloria Doublette crepe paper in turquoise and royal blue. Sheet measures 25 cm x 125 cm (which is 10" by 49") and has 135% stretchability. Made in Germany. 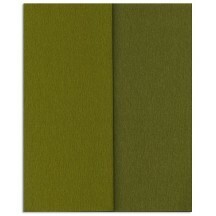 1 folded sheet of two-tone double sided Gloria Doublette crepe paper in dark green and apple. Sheet measures 25 cm x 125 cm (which is 10" by 49") and has 135% stretchability. Made in Germany. 1 folded sheet of two-tone double sided Gloria Doublette crepe paper in fern and grass green. Sheet measures 25 cm x 125 cm (which is 10" by 49") and has 135% stretchability. Made in Germany. 1 folded sheet of two-tone double sided Gloria Doublette crepe paper in olive and moss green. 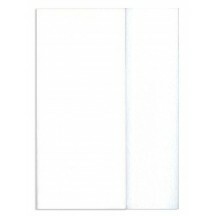 Sheet measures 25 cm x 125 cm (which is 10" by 49") and has 135% stretchability. Made in Germany.